The Female Solopreneur is feeling excited. 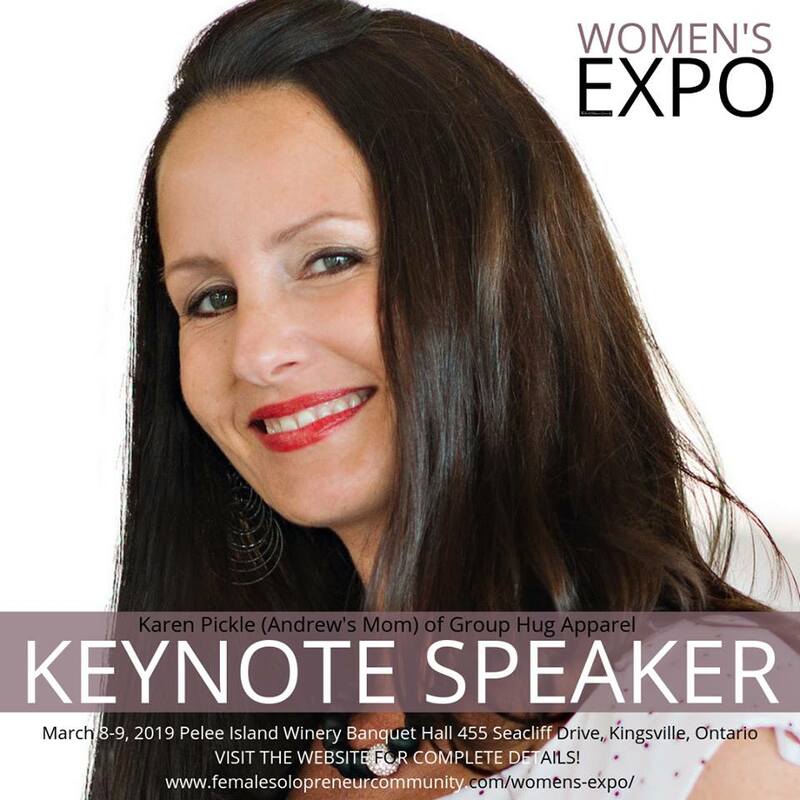 Join us on Saturday, March 9th from 8am-9:30am as Karen talks about, and shares her experiences as a business woman and mom, who found her passion, helping her son, Andrew, who was born with Down syndrome, run his own t-shirt business – Group Hug Apparel. On top of printing, selling and shipping Andrew’s personally designed tees all over the world, Karen and Andrew have also turned their business venture into a thriving company, that not only supports Andrew’s future, but also supports many children’s charities and support groups. They have also recently began organizing local activities like swimming, cooking and dancing for young adults with physical and intellectual disabilities. Tickets ($25 each) are available NOW! Must be purchased in advance. Space is limited! Pastries, fruit, coffee and tea to be served.